Enjoy short, cute, cool, funny hug SMS for boyfriend, girlfriend, husband, and wife. Get latest, new hug SMS or text messages in Hindi and English for Hug day. Must Read: Best Propose SMS for GF, BF in Hindi and Englsih. So you want to celebrate hug day with our Hindi hug SMS or text messages? No problem, we have a unique, latest and top quality hug text for you to share with others. If you are a boy or a girl can use these messages to send your near one or dear one. मुझे गले लगाओ कुछ इस तरह,मेरे बदन को महकाओ कुछ इस तरह की,हर जानने वाले ये पूछे, आज कुछ खास है क्या? Can Read: Best Friendship SMS in Hindi and English. 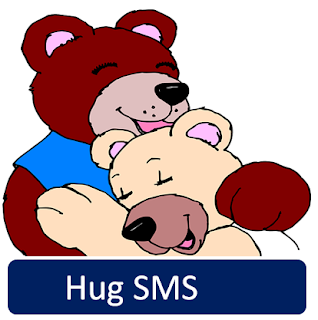 Are you looking for Hug SMS for Hug day? Then we have a latest, short hug text messages for boyfriend, girlfriend, husband and wife. Enjoy our cool collection and don’t forget to share it with friends. Girl – It was an awesome hug, hug me again and I will be yours forever.boy – Thanks for alerting me. Happy hug day, this year again I am celebrating this day alone, next year we will celebrate it together, whether with you or with someone else. Just be in my arms and feel my hug, it will take all your problems and give you my solutions. My today’s love is not because of hug day, it is because of yesterday memories of celebrating advance hug day. Instead of wishing me, you could have hugged me. I was waiting for this day since today morning. I have gifted arms, it will hug you to calm you or it will break bones of a person that will harm you. I care for you because I love you a lot, Just care for hugging me and let’s have naughty thoughts. I have a gift for you which is priceless but cost me nothing, share my hug with friends and you will get many blessings. I was feeling low and restless but your hug did the trick to making me thankless. Do you like gifts? I have sent you precious one, open the door and see I am waiting for you, hug me, honey it's hug day. We have just covered best hug SMS in Hindi for girlfriend, boyfriend. If you wish can use these hug text messages for Whatsapp and facebook. If you liked our content then share or like us on facebook or tweet for us. It will motivate us to write more innovative SMS collections for you.